Previous to the 19th century, dogs, other than lap dogs, were largely functional. Used for activities such as hunting, watching, and guarding, language describing the dog often reflected these positions within society. According to the Oxford English Dictionary, “In the oldest proverbs and phrases dogs are rarely depicted as faithful or as man’s best friend, but as vicious, ravening, or watchful.” Beginning in the 18th century, multiplying in the 19th and flourishing in the 20th century, language and attitudes towards dogs began to shift. Possibly, according to Wikipedia, this societal shift can be attributed to the discovery of the rabies vaccine in 1869. Interestingly enough, before the evolution of wolf into dog, it is posited that humans and wolves worked together hunting game. Wolves were the superior tracker but humans were the superior killer; thus wolves would lead humans to the prey and humans would leave some of the meat to the wolves. This working relationship eventually led to the evolution of dogs, though there is controversy as to the exact nature of that transition. Some say wolves evolved naturally into dogs, wherein the wolves that worked best with humans slowly began to assimilate and pass their domesticated genes down. Others say that humans took wolf pups and raised them to be domesticated. Either way, humans and dogs formed a working relationship. The statement that the dog is man´s best friend was first recorded as being made by Frederick II, King of Prussia, referring to one of his Italian greyhounds as his best friend. The term was likely popularized by its use in a poem by Ogden Nash. It has since become a colloquialism, and refers to domestic dogs highlighting their close relations, loyalty, and companionship with humans. It seems that nature has given the dog to man for his defense and for his pleasure. Of all the animals it is the most faithful: it is the best friend man can have. If you are a dog lover, you know the relationship between man/woman and dog. It is sacred and deep. The capacity to love our dogs is what makes this human journey bearable sometimes. As we will learn in the movie Max, a best friend can be found in many ways. As summer sets in, take time to go to the movies, hang with your friends, celebrate life and make every moment count because each day is truly a blessing. 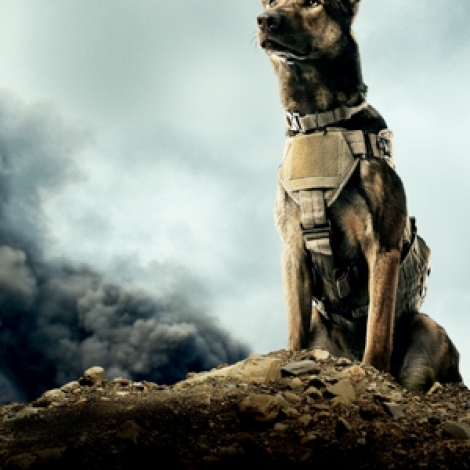 On June 26, 2015 Warner Bros. Pictures and Metro-Goldwyn- Mayer Pictures released Max, a family action adventure from writer/director Boaz Yakin. 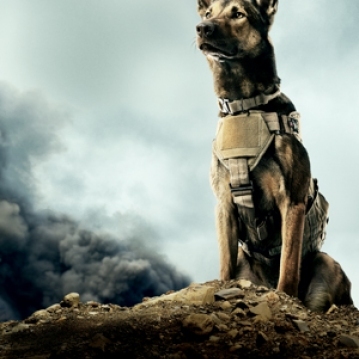 The story line is as follows: A precision-trained military dog, Max serves on the frontlines in Afghanistan alongside his handler, U.S. Marine Kyle Wincott. But when things go terribly wrong on maneuvers, Kyle is mortally wounded and Max, traumatized by the loss of his best friend, is unable to remain in service. Justin’s growing trust in Max helps the four-legged veteran revert back to his heroic self, and as the pair race to unravel the mystery, they find more excitement - and danger - than they bargained for. But they each might also find an unlikely new best friend…in each other. Enjoy July from your friends at the Happy Herald!